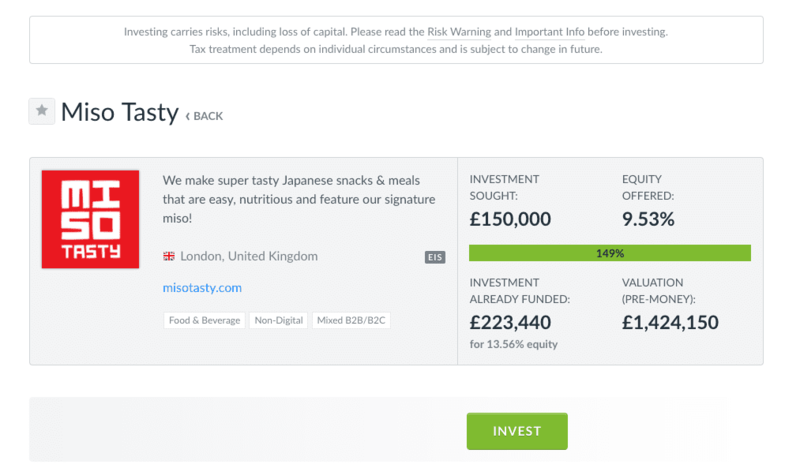 Killer Seedrs Video - Miso Tasty hits target in less than two days! We knew Bonnie’s miso soup brand Miso Tasty had great products, ambitious growth plans and a rosy future. However, we couldn’t have predicted that the company would reach their Seedrs goal in under two days! Of course, our killer Seedrs video must have help! The Napoleon Creative team have known Bonnie for years, since we had offices in the same building. We filmed her when she was setting up supper club, Full House. We’re really please and proud for her achievements so far, and can’t wait to see her Empire grow even further! If you’re thinking about Crowd Funding, get in touch as we can help tell your story through video.